Mary Poppins is a beloved character from our childhood! She brings up lovely memories filled with songs such as “A spoon full of sugar” and “Supercalifragilisticexpialidocious!”. Dress up in a Mary Poppins costume for a theme party, Halloween or book day at school! Sharing tips on how to put together a Mary Poppins costume with many things lying around the house! Yes, that’s all there really is to dress up as the beloved Mary Poppins! If you do not have a black hat at home, grab a straw one and spray paint it black. Insert artificial or real flowers in the hat to be as colorful as our beloved nanny. If you don’t have a bowtie at home you can follow the steps on this site to make a paper one that’s convenient and simple! Do remember your British accent and a cheerful disposition as you put on your Mary Poppins costume! Talking about Mary Poppins, I’m so excited for the new Mary Poppins movie starring Emily Blunt in “Mary Poppins Returns” this December. She definitely has huge shoes to fill as Julie Andrews played the beloved character before her. My children have really enjoyed the original Disney movie and this will be a great way for a new generation of children to learn about Mary Poppins. 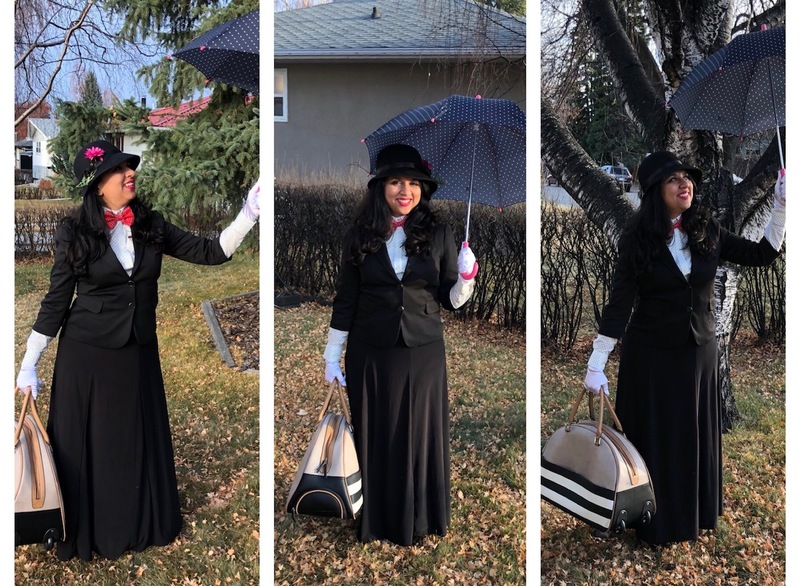 Let me know if you use these tips to put together a Mary Poppins costume! Would love to see your look! Previous Post Easy Slime Recipe: Using Only 3 Ingredients!